97-02**/LN bl/ 48FW/ F15E c/s “Tricky 12” . 2nd Tue Log thanks to Steve & Val. PA474/KC-A/Lancaster I – Engine runs. 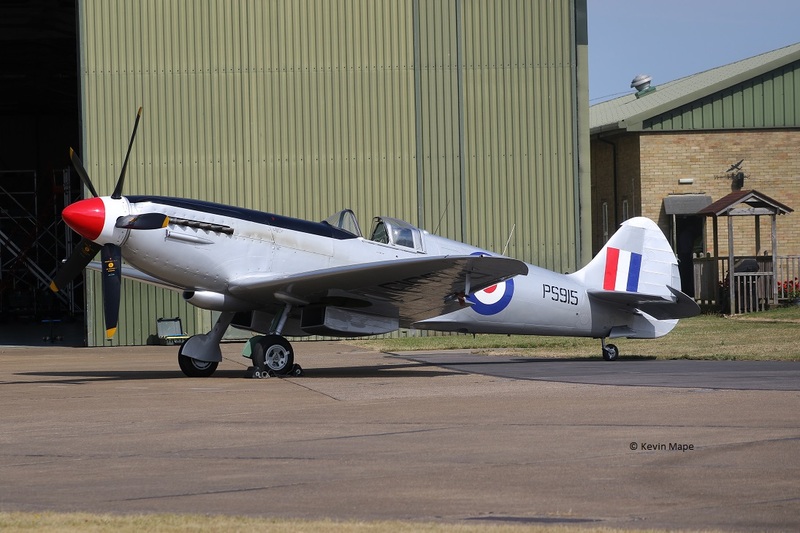 P7350/EG-C/Spitfire IIa – Engine runs. 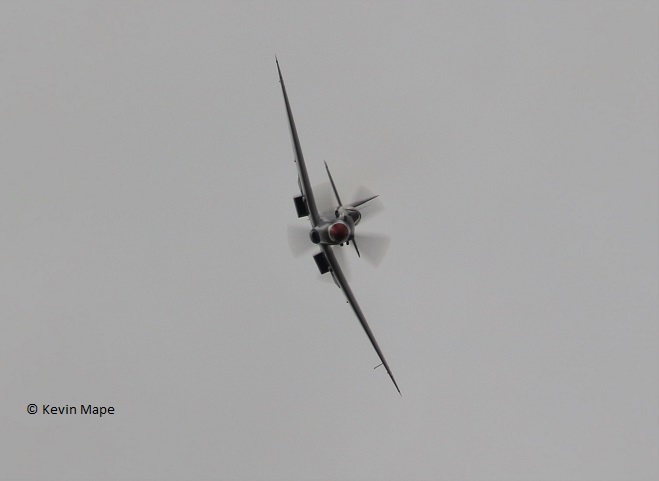 AB910/SH-F/Spitfire Vb – Engine runs. 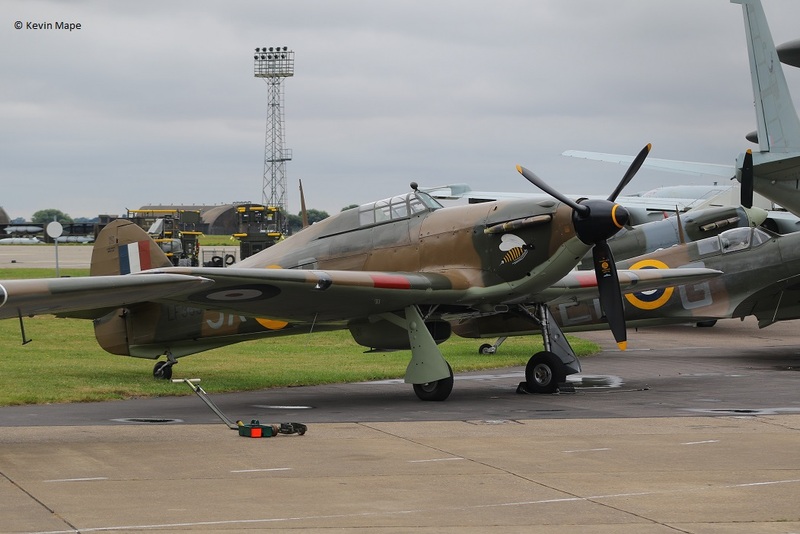 LF363/JX-B/Hurricane IIc – Engine runs. 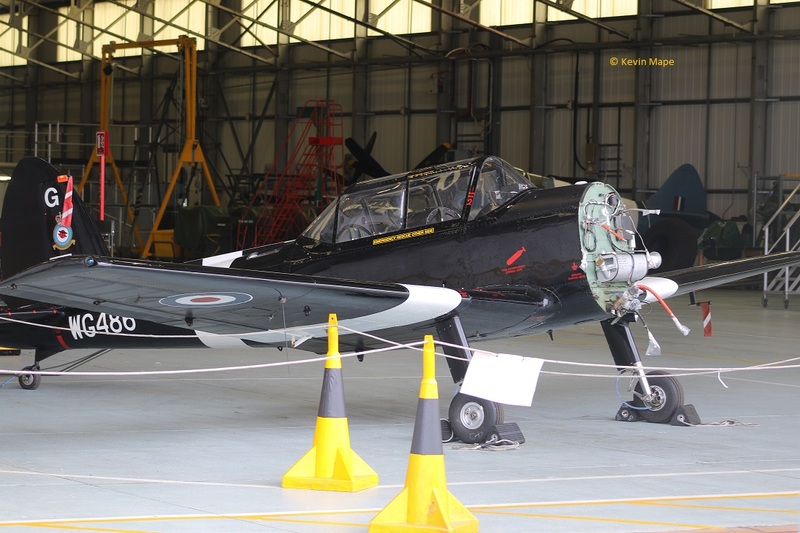 WG486/G/Chipmunk T10 – Awaiting an engine. 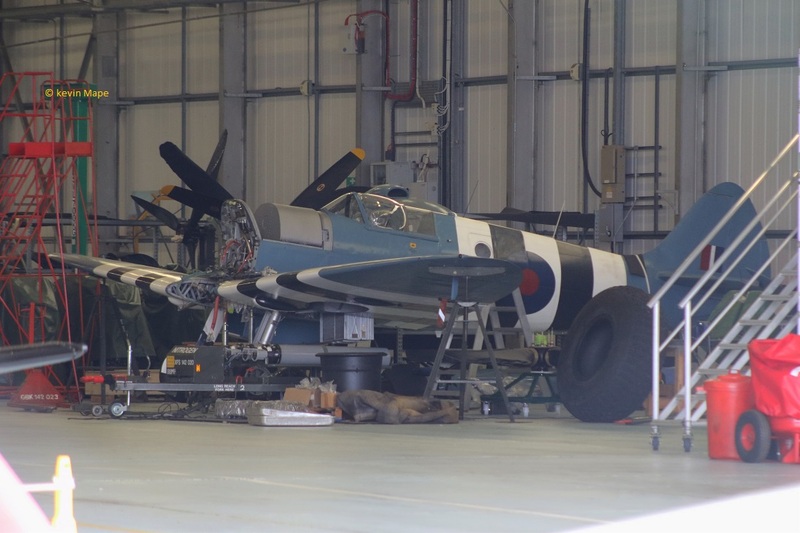 PM631/Spitfire PR XIX – Awaiting engine – stored. G-MAJH/JH/Eastern/Jetstream 41 c./s “Eastern 102” in “103” out. ZG775/EB-Z/41(R)TES/Tornado GR4 – Engine runs on the ASP. G-FRAH/AH/Cobham/Falcon 20 EW c/s “Vader 64” – Parked on the ASP. G-MAJH/JH/Eastern/Jetstream 41 c/s “East flt 104” in “105” – out. ZK332/EB-J/Unmarked – (TMF) – Engine runs. ZK325/FK/1(F)Sqn c/s “Zircon 11” – ground abort. ZJ950/Unmarked – Noted on the Wash pan. G-MAJE/JE/Eastern/Jetstream/ c/s “East flt 101” in, “102” out. 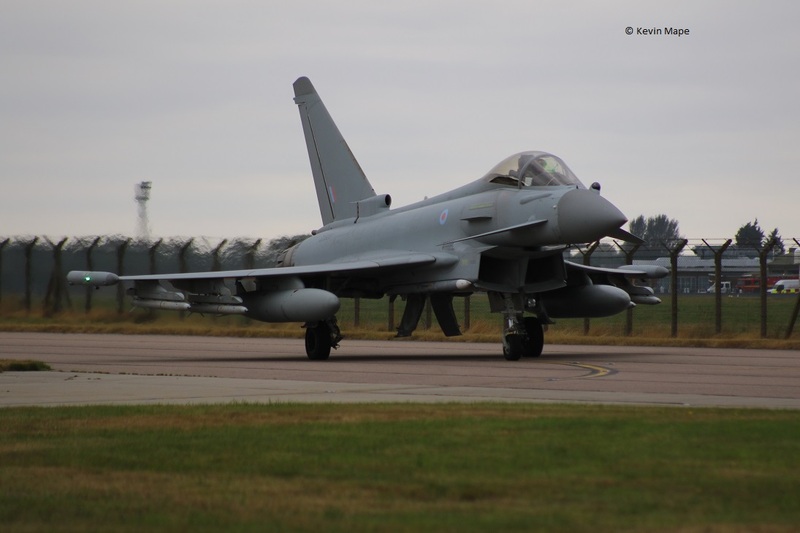 ZK306/ED/Unmarked c/s “Typhoon 71” – From Lossiemouth to TMF. G-FFMV/Cobham/DA-42 Twin Star c/s “Gonzo” – departed. 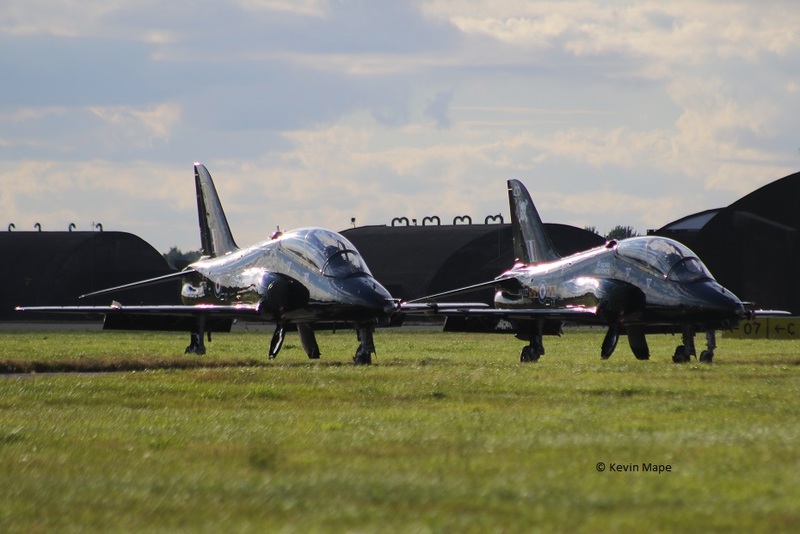 XX265/CP/100Sqn/Hawk T1 c/s “*****” – Overshoots. ZK319/Unmarked – Noted on the ASP. ZK316/FA/Unmarked – Towed from TMF to the ASP. ZK319/Unmarked c/s “Lossie 71” – Delivery to Lossiemouth ex TMF. ZA462/027/Unmarked/tornado GR4 c/s “Jackal 21” – Overshoot. 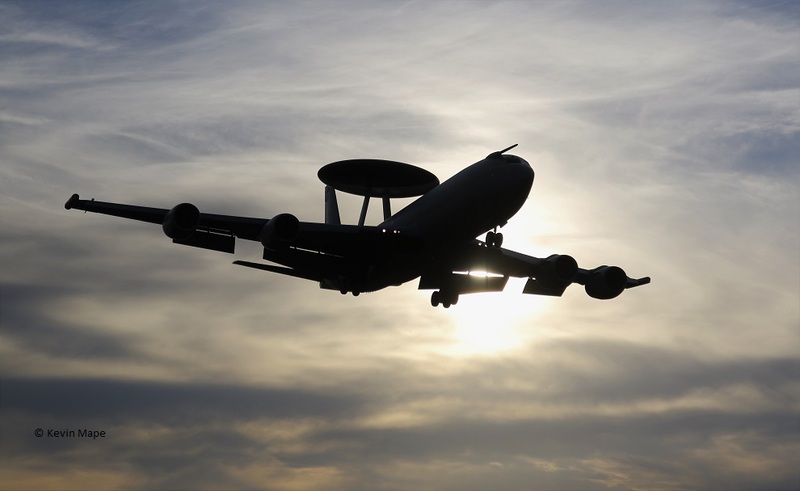 ZH107/07/8Sqn/Sentry AEW1 c/s “NATO 30” – 35 minute test flight. 5th Fri Log thanks to Susie Matson. 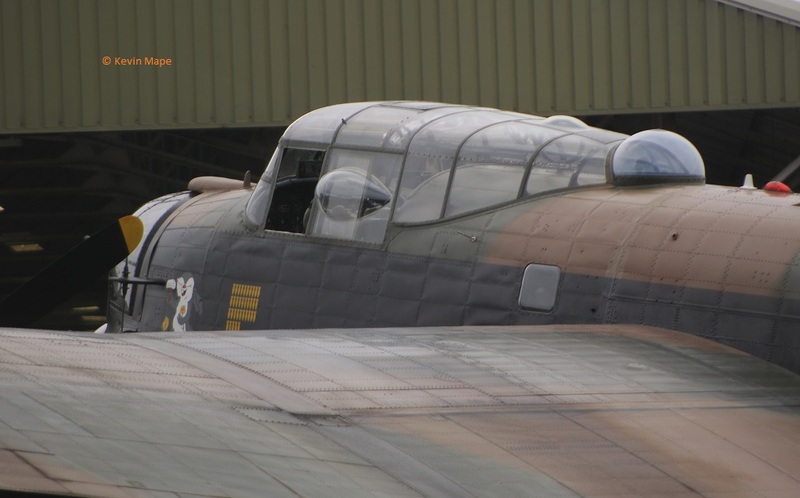 PA474/KC-A/BBMF/Lancaster I c/s “Lancaster 95” – display. 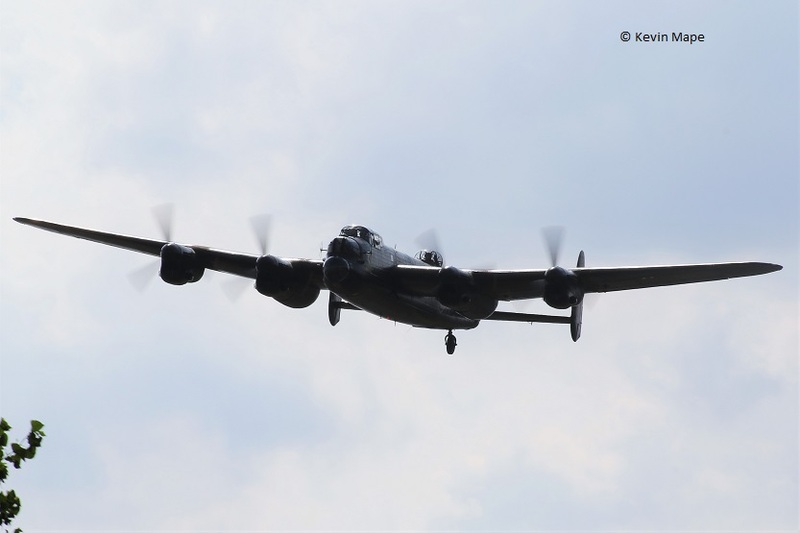 PA474/KC-A/BBMF/Lancaster I c/s “Lancaster 99” – test flight. G-MAJE/JE/Eastern/Jetstream 41 c/s “East Flt 103” in “104” – out. 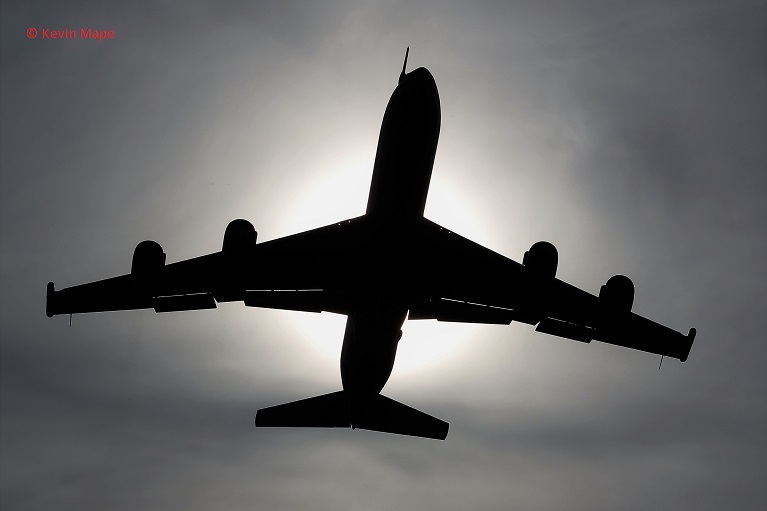 G-FRAH/Cobham/Falcon 20 EW c/s “Vader 64” – departed. G-MAJE/JE/eastern/Jetstream 41 c/s “East Flt 101” in “102” out. 29(R)Sqn . BT, BP, BQ, BC, EX, BF, ZJ930, BA,. Wash pan – ZJ911/QO-Z/3(F)Sqn marks. G-FRAS/AS/Cobham/Falcon 20 EW Falcon 20 c/s “Vador 61” – parked on the ASP. ZK372/Unmarked c/s “Tarnish 69” – Delivery from Warton – The 4th Tranche 3 delivery. ZK348/FN/Unmarked – Noted on the ASP. 17th Wed Log thanks to Susie Matson & Rich. ZJ918/unmarked c/s “Rebel 85” – To Lossiemouth. 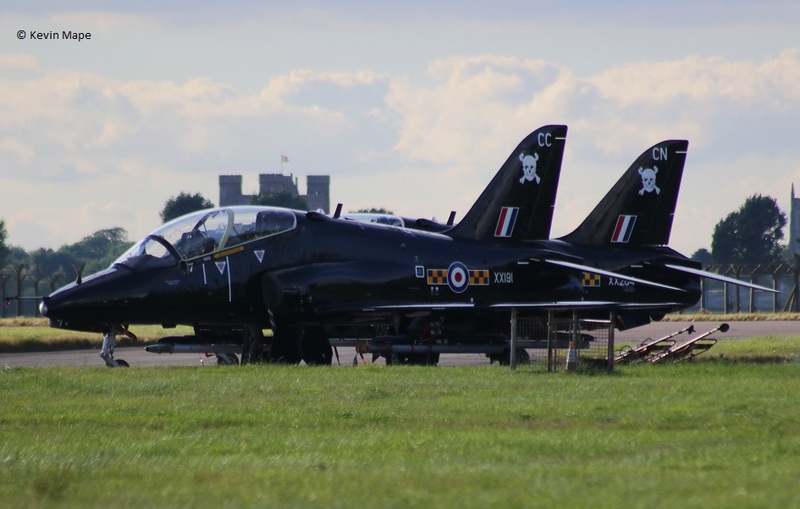 ZJ937/DT/XI(F)Sqn c/s “U9P42” – QRA practice. ZK313/ES/Unmarked c/s “Zircon 41” – Paveway 2 on each wing. ZJ800/BC/29(R)Sqn c/s “Gunfighter 22” – Ground Abort. 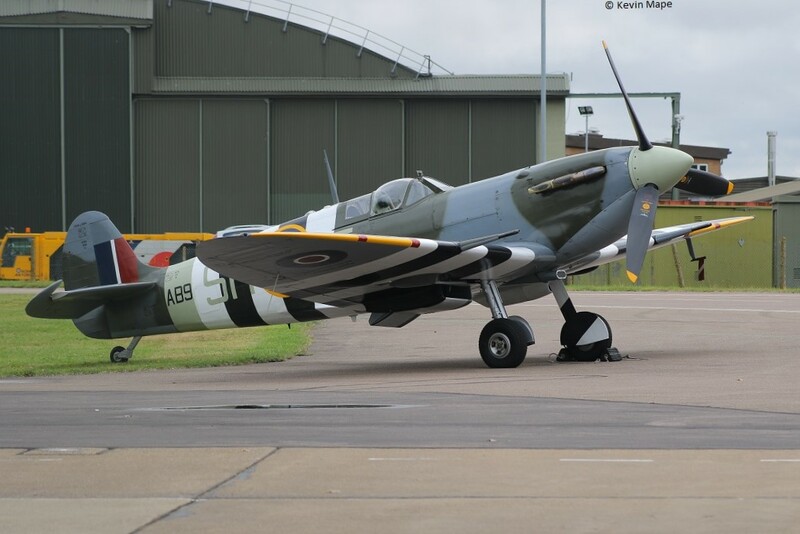 PS915/81Sqn marks/BBMF/Spitfire PR.XIXe c/s “Spitfire 90” – Return from Duxford. 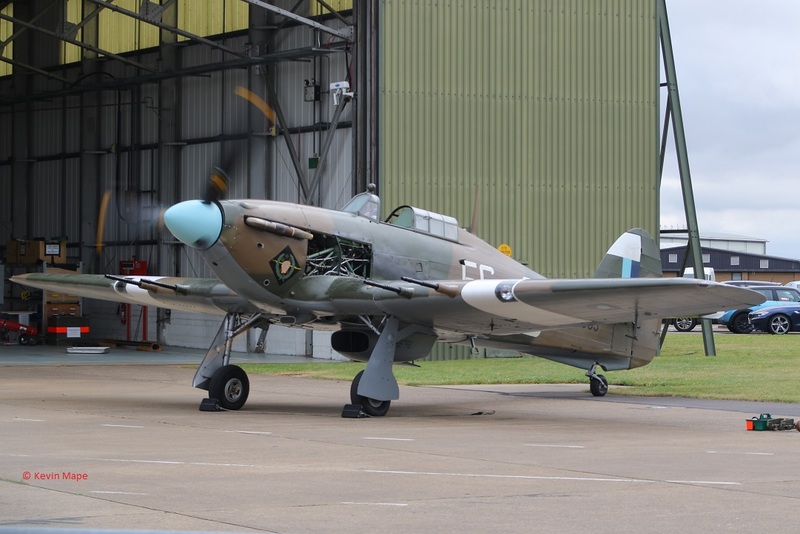 PA474/KC-A/BBMF/Lancater I c/s “Memorial 1” – Landed. G-MAJJ/Eastern/Jetstream 41 c/s “East flt 105” in “106” – out. G-FRAT/Cobham/Falcon 20 EW c/s “Vader 62” – Departed. G-FRAS/Cobham/Falcon 20 EW c/s “Rushton 91” – departed. 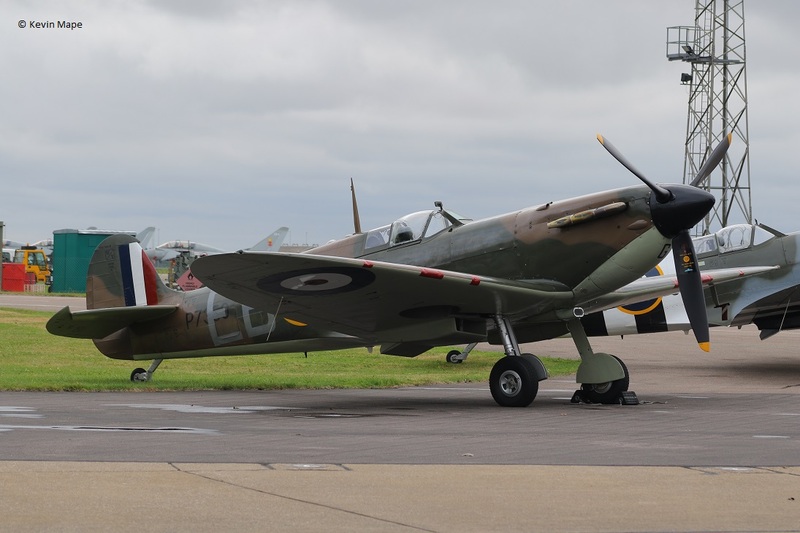 PS915/BBMF/Spitfire PR.XIXe – “Spitfire 92” – Taxy run. 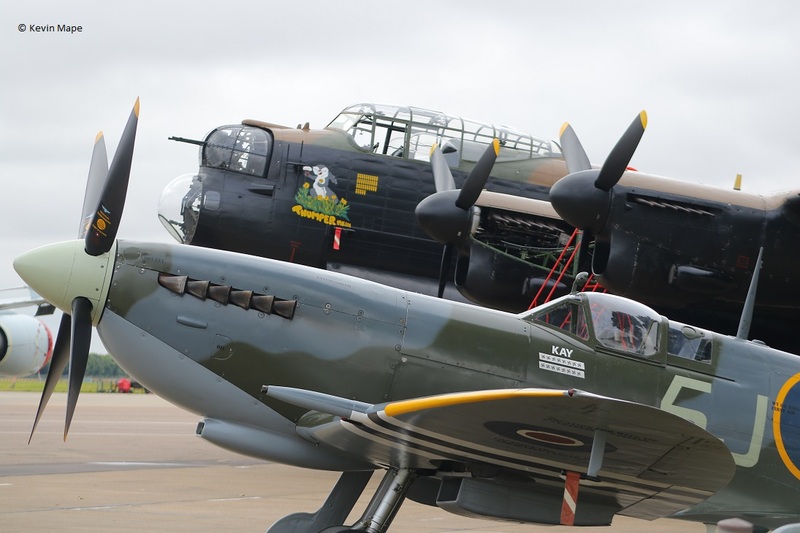 PA474/KC-A/BBMF/Lancaster I – Noted on the BBMF ramp. 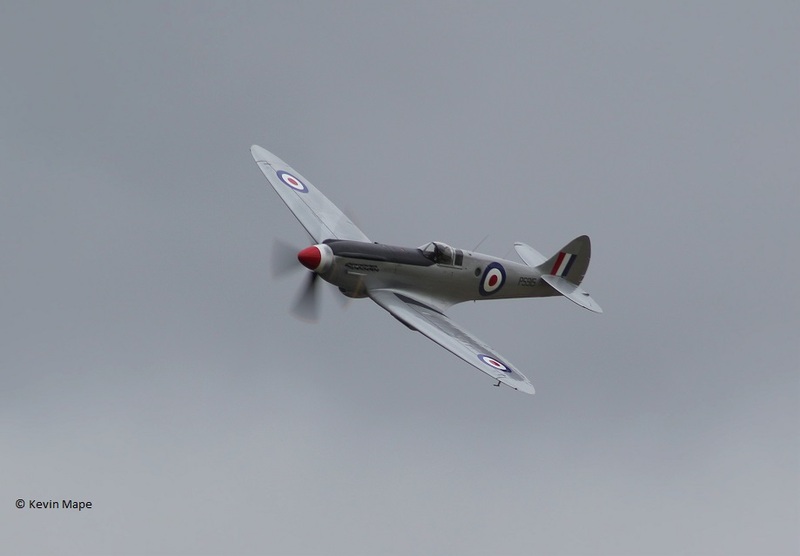 PS915/80Sqn marks/BBMF /Spitfire PR.XIXe c/s “Spitfire 92” – Display practice. 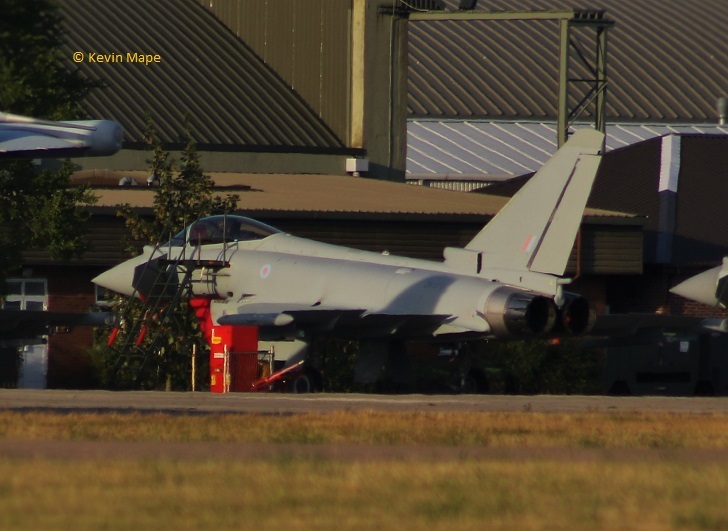 ZJ932/Unmarked/Typhoon FGR4 c/s “1BX42” – QRA practice. ZA560/EB-Q/41(R)TES/Tornado GR4 c/s “Rebel ** ” – Took the RHAG. 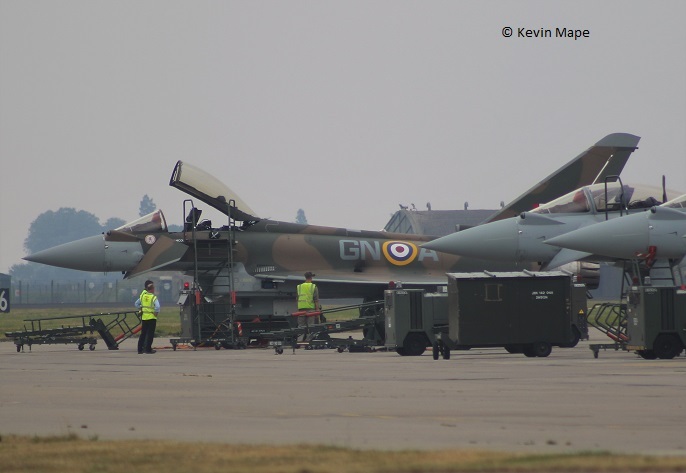 ZK937/DT/XI(F))Sqn/Typhoon FGR4 – QRA change over. 23rd Tue Log thanks to Rich & Kev Barnwell. ZJ950/Unmarked c/s “*********” – Departed. G-FRAU/AU/Cobham/Falcon 20 EW c/s “Vader 63” – Parked on the ASP. PA474/KC-A/BBMF/Lancaster I – Engine runs. 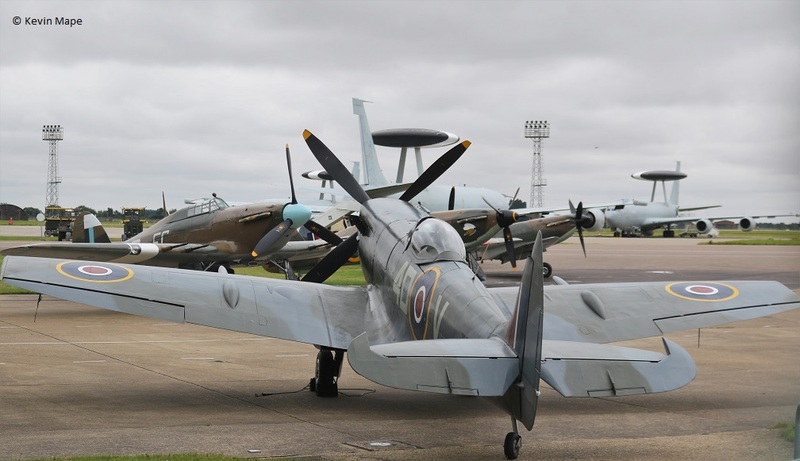 PS915/80Sqn/BBMF/Spitfire PR.XIXe – Parked outside BBMF. ZJ921/E/Unmarked c/s ” Lossie 72″ – Parked on the ASP for TMF. G-MAJW/JW/Eastern/Jetstream 41 c/s “East flt 104” in “105” – out. 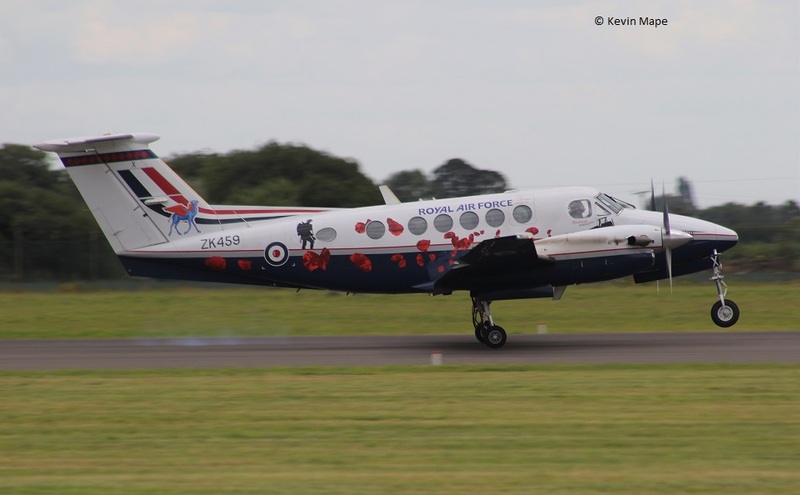 G-FRAS/AS/Cobham/Falcon 20 EW c/s ” Rushton 89″ – Departed. G-FRAT/AT/Cobham/Falcon 20 EW c/s “Vader 61” – Departed. G-FRAU/AU/Cobham/Falcon 20 EW c/s “Vader 62” – Departed. 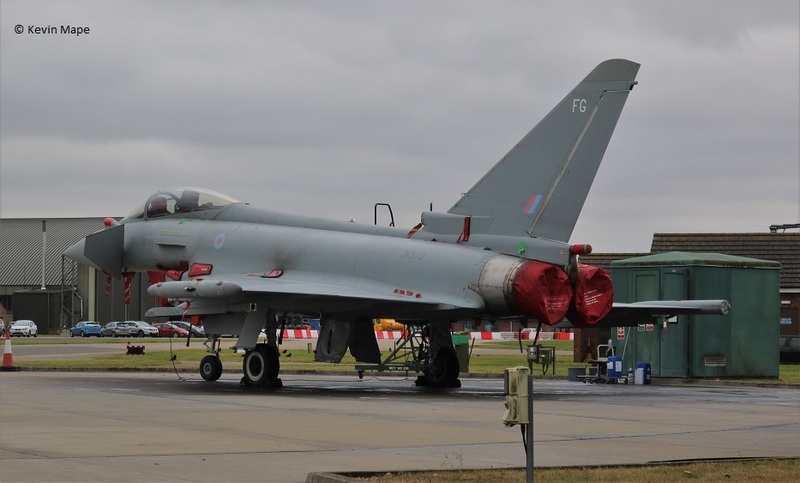 ZJ931/DA/XI(F)Sqn c/s ” Lossie 72″ – Delivery to Lossiemouth. ZH104/04/8Sqn/Sentry AEW1 c/s “Solex 01” – Test flight – Returned later. ZK348/FN/Unmarked – Towed from TMF to the South side. (TMF) – ZK307/Unmarked,ZK316/FA/Unmarked. – both engine runs. 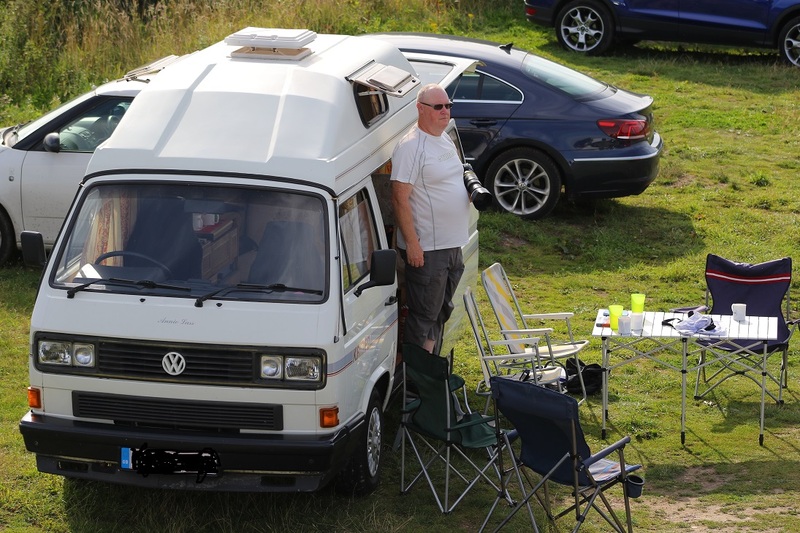 Kev Barnwell set up near the Mound, Cheers for the Coffee Kev. 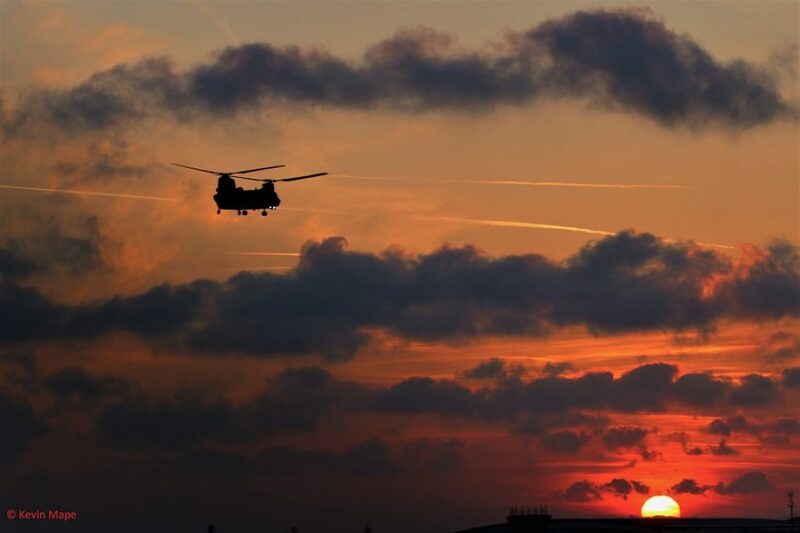 ZJ911/QO-Z/3(F)Sqn c/s “*********” – To Shawbury to storage. 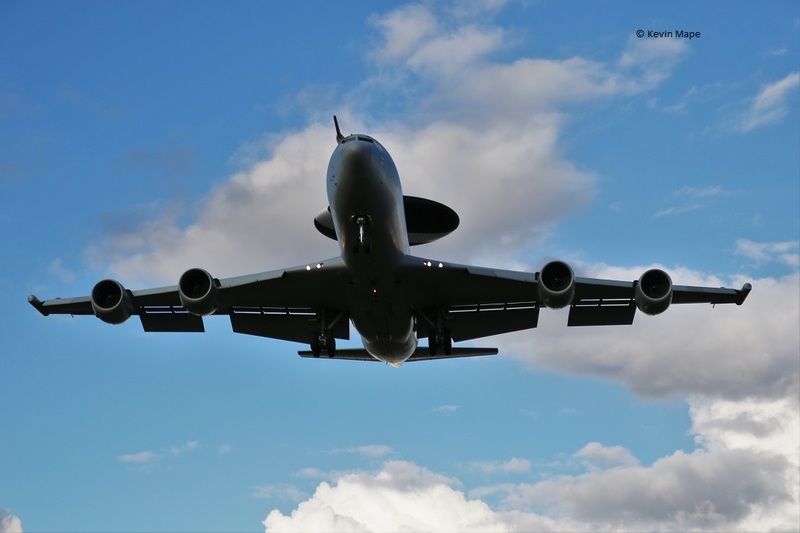 ZH104/04/Sentry AEW1 c/s “Solex 02” – Test flight. ZH104/04/8Sqn/Sentry AEW1 c/s “Solex 02” – to the ASP. ZH103/03/8Sqn/Sentry AEW1 c/s “Solex 03” – From Waddington. 25th Thur Log thanks to Susie Matson & Garf. 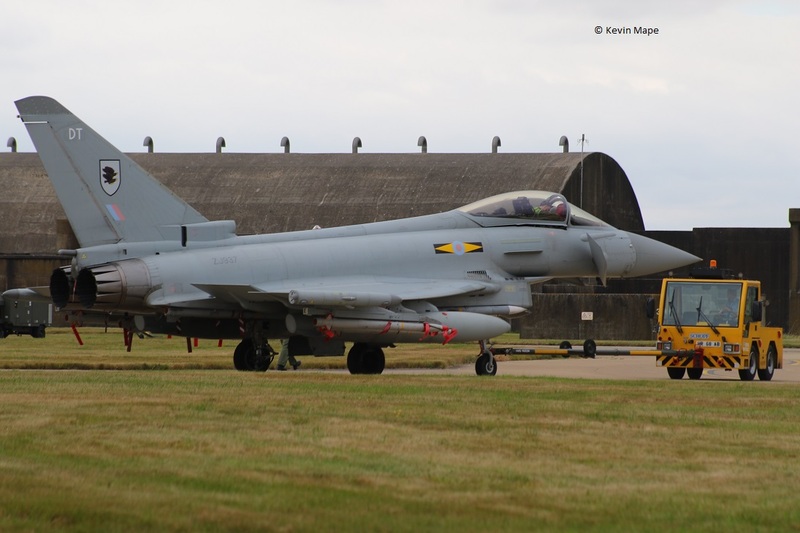 Noted on tow – ZJ806/BE/29(R)Sqn – From the ASP to Foxtrot. CM-02/Falcon 20E – 5 c/s “Belgium Air Force 606” – Parked on the ASP. G-BYWX/WX/Tutor T1 c/s “Wittering 20” – Oversjhoot. CM-02/Falcon 20E – 5 c/s “Belgium Air Force 606” – Departed. ZK324/EI/Unmarked – Towed from the paint shop to TMF. G-MAJJ/JJ/Eastern/Jetstream 41 c/s “East Flt 102” in “103” out. G-BYWJ/WJ/3FTS/Tutor T1 c/s “Cranwell 20Y” – Overshoot. 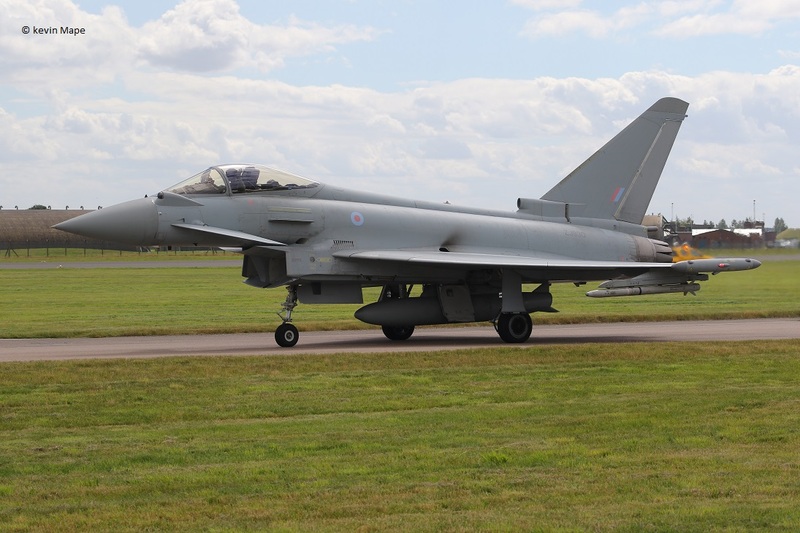 ZK316/FA/Unmarked c/s “Typhoon 103” – Delivery to Lossiemouth ex TMF. ZK332/EB-J/Unmarked c/s “Lossie 05” – Delivery to Lossiemouth ex TMF. 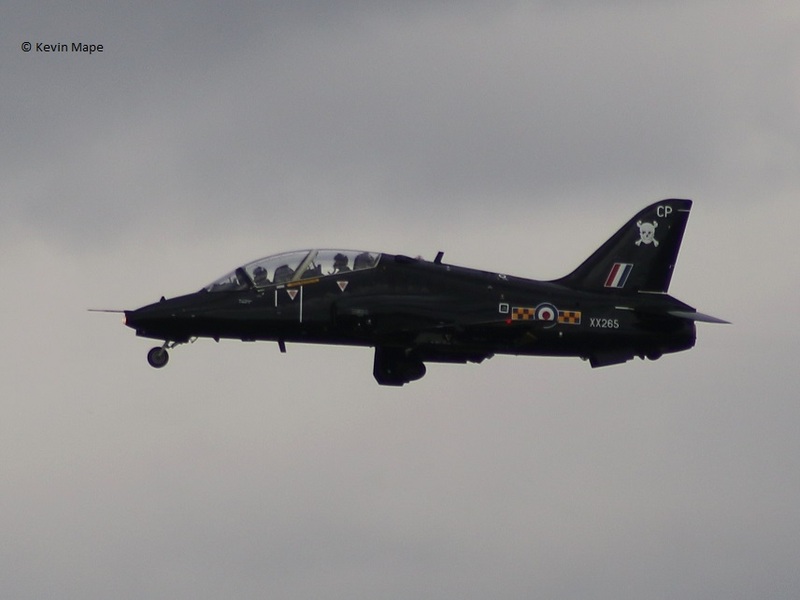 G-BYUX/UX/3FTS/Tutor T1 c/s “Cranwell 38” – Overshoot. ZK459/U/ 45(R)Sqn special/King Air B200GT c/s “Cranwell 62” – Overshoot. 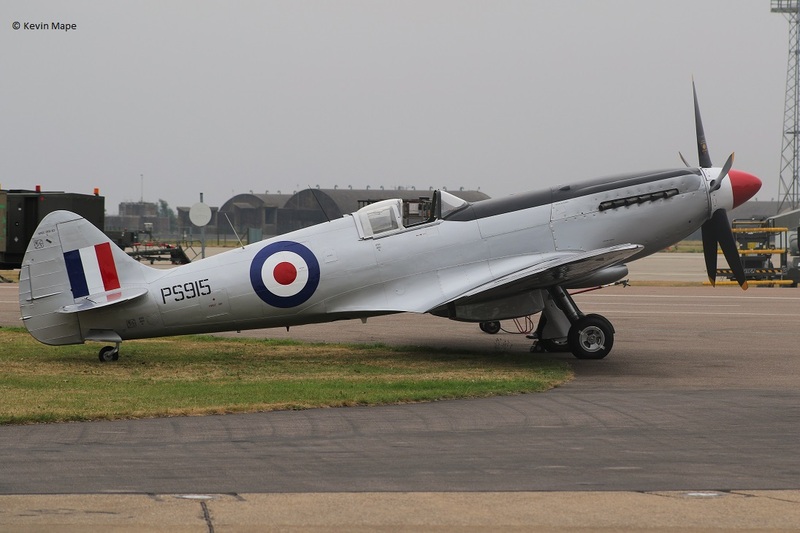 MK356/5J-K/BBMF/Spitfire LF.IXe c/s “Spitfire 90” – Test flight. ZH101/01/8Sqn/Sentry AEW1 c/s “Solex 02” Rollers then to Waddington. G-MAJJ/JJ/Eastern/Jetstream 41 c/s “East Flt 104” in “105” – out. ZE701/32(TR)Sqn/BAE146 CC2 c/s “Northolt 10” – Rollers. 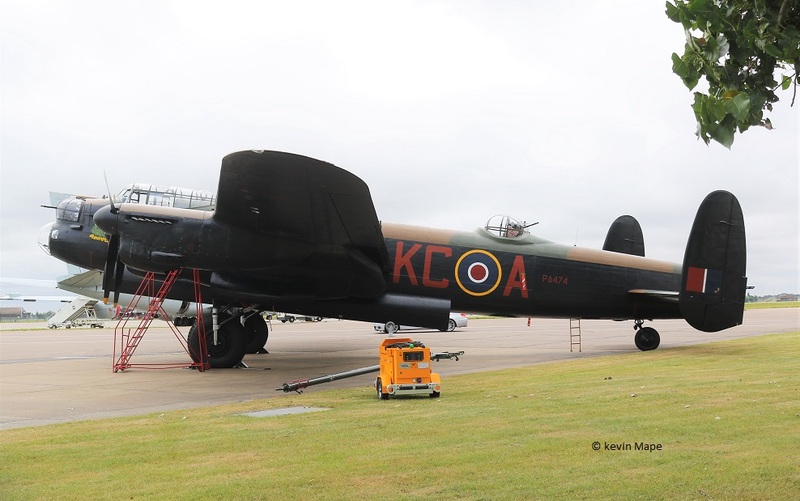 PA474/KC-A/BBMF/Lancaster I – Engine runs – 1.3 & 4 then 2 on it’s own. 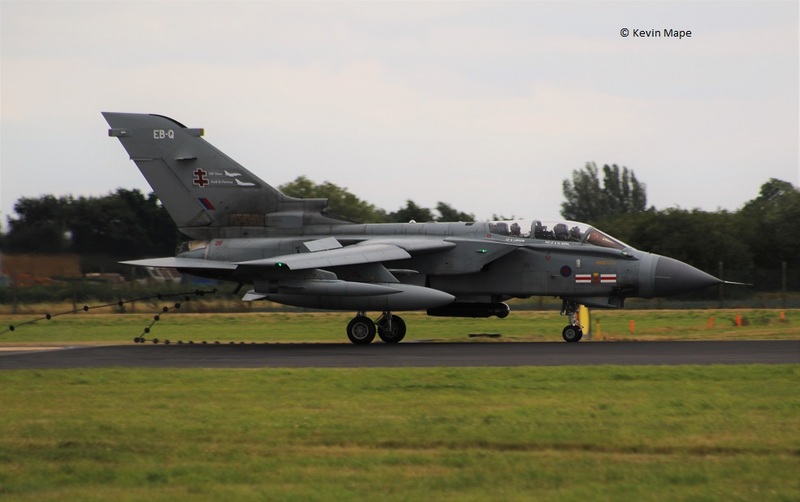 ZG775/EB-Z/41(R)TES/Tornado GR4 – Towed onto the ASP. ZJ940*/–,ZJ945/-,ZJ948/–,ZJ922/QO-C,ZK326/FB. * marked as DJ666.